KwaZulu-Natal: At 15H21 Monday afternoon Netcare 911 responded to reports of a collision on Shongweni Road in Hillcrest. 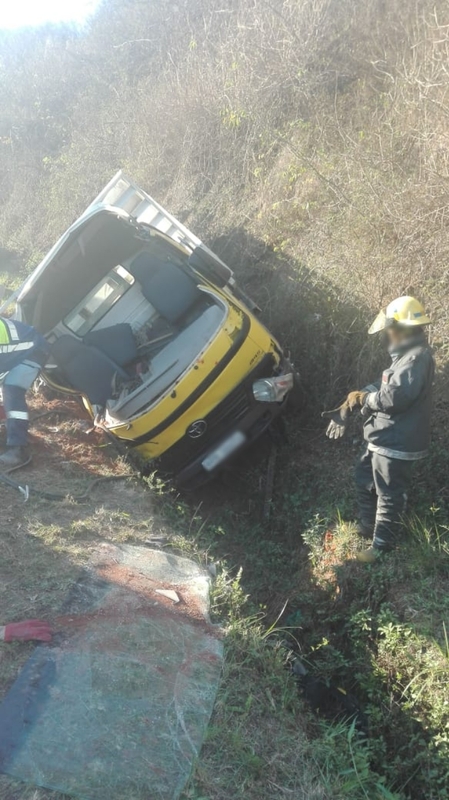 Reports from the scene indicate that the driver of a truck carrying Floor tiles and Cement lost control resulting in the vehicle coming to rest in a ditch. Two adult males, both occupants of the truck sustained moderate injuries. The Jaws of Life had to be used to free the driver. Both patients were treated on scene and transported by another private ambulance service to hospital for further treatment.